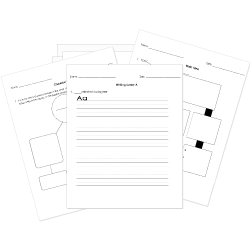 You can create printable tests and worksheets from these Grade 4 Adverbs questions! Select one or more questions using the checkboxes above each question. Then click the add selected questions to a test button before moving to another page. The batter ran quickly to second base. We opened the door to the baby's room quietly . We sang loudly to wish her a happy birthday. I will take of them. kittens did the cat have? Do you want these items? Yes, I will take of them. An adverb describes a noun. Complete the sentences with the correct relative adverb. Tygart Park is the place our end of the summer picnic will be held. Which relative adverb best completes the sentence below? Overhunting is the reason why the tree kangaroo almost became extinct. The park we saw the grizzly bear is not far way. Underline the adverb and circle the word or verb it describes. Jesus stood calmly before His accusers in Pilate's hall.